B2B Marketing Automation – Why You Need it and How to Use It. 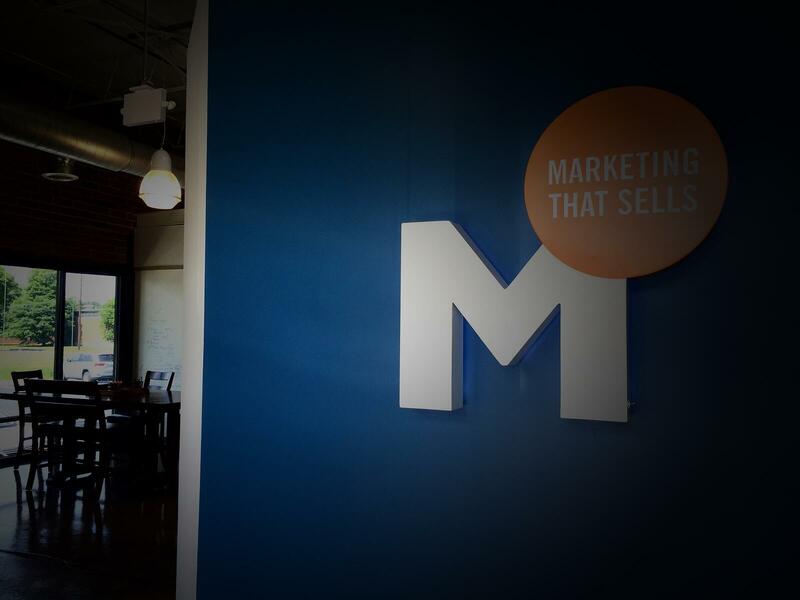 Part 2 of the blog series: B2B Marketing - 2014. Adoption of marketing automation tools has passed the tipping point. One survey found just over half of B2B marketers are already using marketing automation to manage their digital marketing programs, with another 17% evaluating whether to add one. Yet among those who have already adopted these tools, the C-Suite is already asking, “Do we really need this? Are we using it effectively to drive sales?” The answer should be an easy yes to both questions, but the truth is a lot of marketing departments struggle to best leverage the capabilities of, and data provided by, marketing automation tools. Part 1 of this series looked at the ”ARRT” of Marketing – specifically the steps today’s marketers take to engage the “self educated buyer” who relies on the Internet to guide their journey. In Part 2, we examine the science of digital marketing. As the number of digital touch points to reach buyers explodes, so does the complexity of managing, tracking, and analyzing marketing effectiveness. Marketing automation tools provide the architecture to manage your digital interactions and the data that those interactions generate. But the tools don’t provide the strategy and structure to make decisions about the data that is mined. Let’s take a look at why so many marketers are turning to the “science” of today’s marketing to shape their digital engagement and the challenges to extracting measurable ROI from marketing technology. Marketing Automation for the (B2B) Masses. Marketing automation started over 10 years ago when Eloqua (acquired by Oracle in 2012) came out with “improved lead generation and demand management services”. Larger companies with more products, more market segments, and more money to manage, were the first to seek out tools to help manage this process. 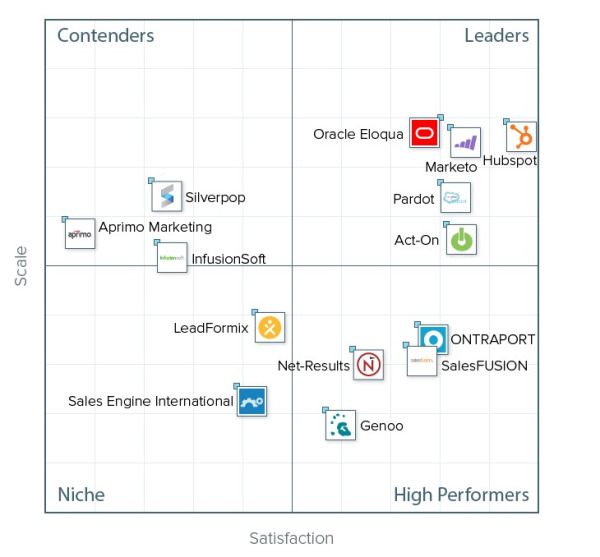 In 2007, Marketo entered the enterprise market and today is considered the leader in the mid-large enterprise market. HubSpot (2006) and Pardot (2007) were founded to bring a simplified set of marketing automation capabilities to the small and medium business (SMB) market – at prices the SMBs could afford. By making marketing automation less complicated and less expensive the adoption of the technology has exploded. Today HubSpot serves over 10,000 companies in 56 countries. As adoption continues to grow, so does the number of service providers. Here’s a ranking/review of 14 of the largest providers, as ranked by 700 users. You can read the full report from G2Crowd here. The Age of Marketing Accountability. The advent of the digital world has brought with it a sea of change in how marketing activities – and effectiveness (ROI) – are measured. Digital actions (and interactions between prospects and your digital presence) can be measured, tested, and analyzed more closely, more immediately, than ever. Gone are the days of simply counting impressions for ad placements and media mentions for a press release. Names collected at a trade show are no longer the yardstick for lead generation. It’s not that these activities don’t matter. It’s that in the new array of digital analytics available to marketers, they are only a few data points among many others. In fact, we are drowning in a sea of data points. Unfortunately, data doesn’t necessarily mean actionable insight. Just ask the marketing specialist trying to figure out how much their Twitter activity is contributing to new product sales. All this data is driving higher visibility from management on marketing spend and its return. Surely, with more data we can make better decisions – drive more leads with less spend. And surely, with all these technology tools we can get higher productivity from our marketing personnel, and do more with less. Right? Not necessarily. Not if you don’t know which metrics to pay attention to, what they mean, and how to leverage them. Not if you don’t have the right skilled personnel to operate your marketing automation tools and run integrated campaigns that leverage both digital and traditional marketing channels. And not if you don’t have the right alignment between sales, marketing, and IT to cooperatively track, measure, and manage the technology and the process. In 2014, we’ll see more companies jump on the marketing automation bandwagon. We’ll see others abandon their marketing automation tools because they just don’t have the time or talent to manage it effectively. And we’ll see the smart ones dig in to do it better – through intelligent use of skilled internal and outsourced marketing resources, by making better data-driven decisions, and by working more effectively with their sales and IT compatriots to cooperatively grow the business. For a more in-depth look at how you can get the best out of your inbound marketing efforts, download our free 10-step e-Guide.